12 Photos to convince you ! 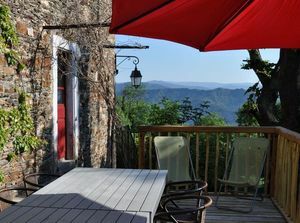 Welcome in the Gîte "Lou Sourel"
Gite de France "3 Stars"
View on the terrasse of the "Petit Sourel"
Situated in the heart of the Cevennes, on the borders of the counties of Le Gard and La Lozère, the Lou Sourel gîte is situated in the upper part of the village of Saint Roman de Tousque with a panoramic view looking out over the Vallée Française in the county of La Lozère and the Vallée Borgne in the county of Le Gard. 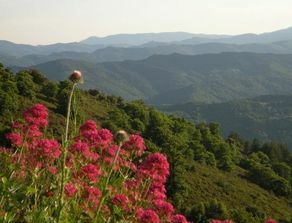 The Gîte is easily accessible via the Corniche des Cévennes tourist route which is quite well known and runs from Saint Jean du Gard to Florac. It is situated 1h30 from Montpellier, 1h15 from Nîmes, 50mins from Alès, 35 mins from Anduze and Florac and 20 mins from Saint Jean du Gard. You will find all the modern conveniences in this 200-year-old house built in local stone. The renovations have been done using traditional materials and new ecological products and techniques. A solar system has been installed to provide hot water supplemented when necessary by a gas heating system. 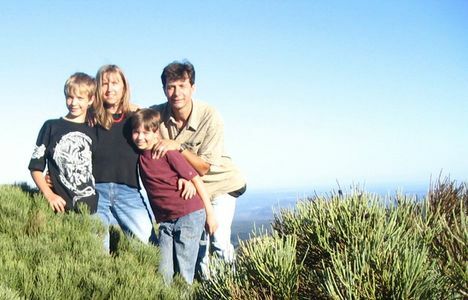 Various family-friendly holiday rentals France by private. Free of charge vacation rental listing. 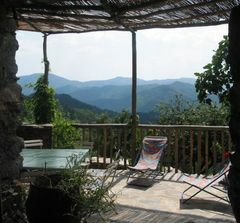 Many inexpensive vacation rentals France and worldwide. Rent directly by owner.